Dr. Heil is a licensed psychologist with over 25 years of experience working with a variety of issues including depression, anxiety, chronic pain, grief relationship problems, post trauma, co-morbid substance abuse, and ADHD. She received her PhD from Kent State University in Ohio, and then practiced in a community mental health clinic in North Carolina for 16 years, working from staff psychologist to Outpatient Director. She developed an internship program there for psychology students and helped to build their psychological testing services. 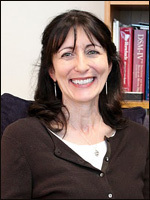 Her primary treatment style uses cognitive therapy techniques as well as other solution focused approaches. Dr. Heil’s areas of treatment specialty include individual and couples’ therapy with adults with a special interest in geriatric populations.